Miss Print: A New Cross Stitch Pattern + the Giveaway Winner!! 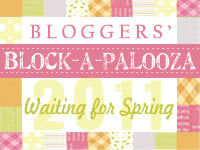 A New Cross Stitch Pattern + the Giveaway Winner!! Let's Get Baked! 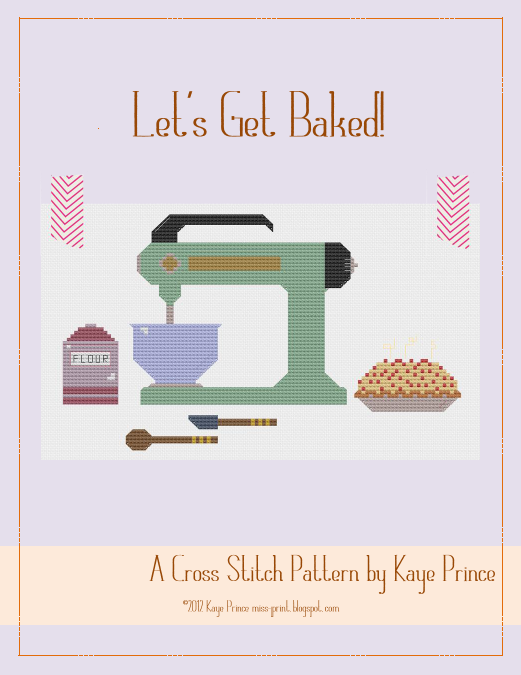 Let's Get Baked is a fun cross stitch pattern featuring a vintage-y mixer, some cherry pie and a few other little accoutrements! On 14 count aida, it finishes at approximately 5.5x8" and is available in both my Etsy Shop and my Craftsy pattern shop. 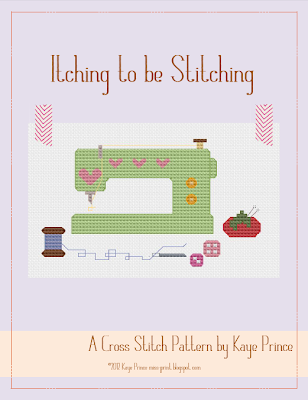 Itching to be Stitching! 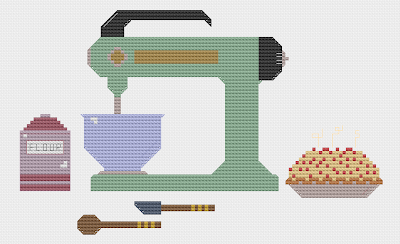 Yes, I know you've seen this little baby before, but... it's been discontinued by The Frosted Pumpkin Stitchery on account of them welcoming a new guest designer this week (don't worry, no drama or anything, we're all still friends). 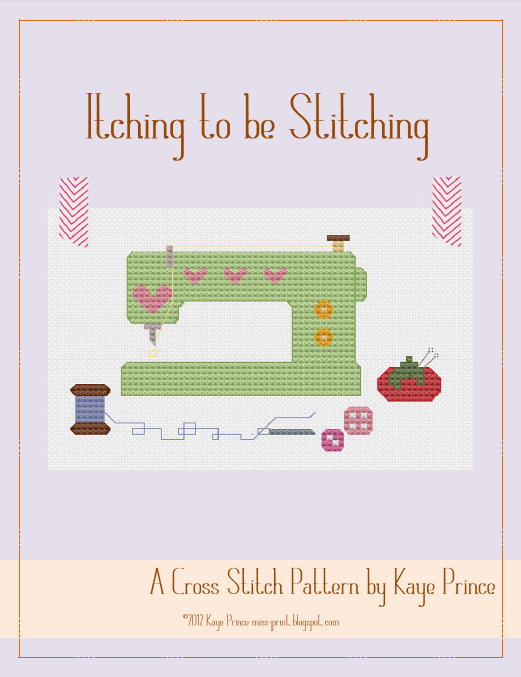 So now I'm re-releasing it in my own shops (Etsy and Craftsy) with a whole new cover and lay-out! Woot, good times! So, about this whole two shops thing - yes, the patterns are available through both and here's the deal. Lots of people have Etsy accounts and I already have a shop there, but Craftsy allows the user to download the pattern automatically (with Etsy you'll have to wait for me to email it to you), allows them to keep it in their library, and they don't charge me any fees to sell through them. So feel free, if you're going to that is, to purchase the pattern from either place! Well now, I bet you're wondering who won the giveaway, right? Congratulations Bobbi!! Please email me with your details and FQS will get your bundle shipped out. *And just as I was about to hit post, Alex calls me from the hospital saying that he got a cleat to the head at Frisbee and needs stitches, so I'm on my way to the hospital! Don't worry, he seems fine, but I gotta go! Adorable! I made the stitching cross-stitch for a friend. 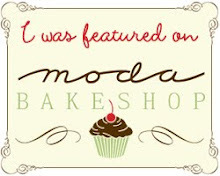 I think I need the baked one too! Oh no I hope he's ok :( Love the new pattern it's really great! He's doing okay! Needed seven staples in his head, but they don't think he has a concussion or anything. Little sore, but I'm sure he'll be right as rain soon enough! And thanks, I'm glad you like me new pattern! Espero que não seja grave,torço para que não. He's doing alright, now worries! I love them both, but really love the stitchy one. So cute. Generation Q Review + Giveaway!